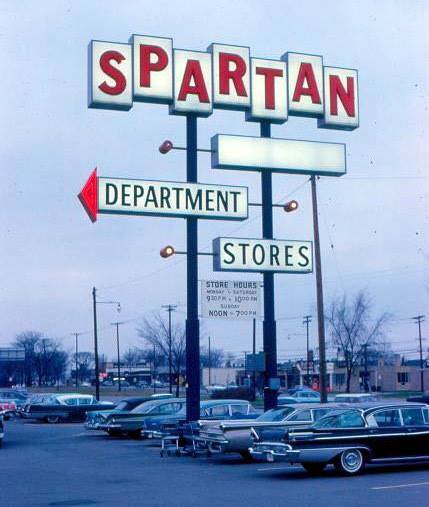 The New York-based Spartan Discount Department Store chain opened their first Oklahoma City branch in this 72,000-square-foot building. 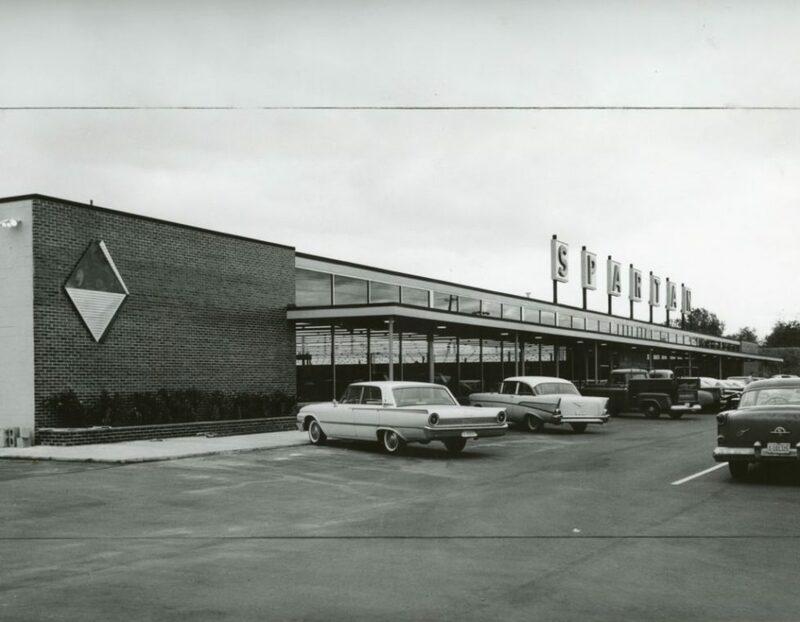 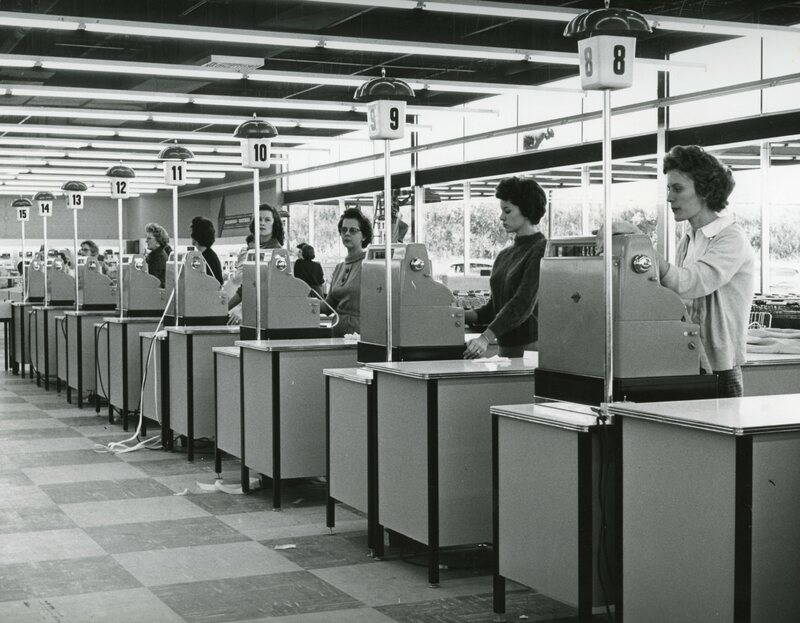 The $300,000 store was one of the few that was open on Sundays and offered 60 different shopping departments, parking for 1,000 cars, piped-in music both inside and outside the building, a snack bar, and 16 convenient check-out lanes. 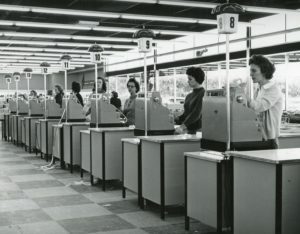 Soon after opening, legal charges were brought against the chain and a few others, like Katz’s Drugs, for “breaking the Sabbath” and violating the state’s blue laws by selling non-essential items on Sundays. Eventually, the charges were dropped and Spartan continued to remain open on Sundays until the chain closed in the mid-1970s. 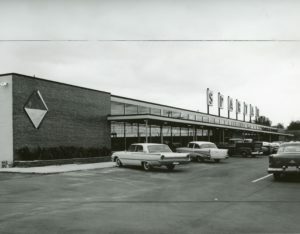 The building is now home to Forest Design Center.